After a hat or a Buff, another useful accessory is a decent pair of gloves. If I’m away in what promises to be cold, wet or wintry conditions, then I take a pair and always pack at least one spare pair. Why? Because I was very glad that I did a few years ago when I took a pair of performance fleece gloves off in order to take one shot on a motor driven compact camera when I was doing some cross-country skiing in the Lillehammer area. I’d put my gloves over the top of my ski poles and although the time elapsed between taking the gloves off, taking the shot and going to put the gloves back on again was less than 30 seconds, they’d already frozen up. Spare gloves were dug out of my pack and donned before continuing the day out. Yes, it was that cold! Now I haven’t had the chance to try these Snugpak GeoGrip Gloves out in total anger yet, because the main rainfall has come overnight around here and we haven’t has yet had any snowfall either, so not even the snowball test has been carried out as yet. When the snow does arrive (and the Met Office think there could be some in January), I’ll dive back on here and let you know. In the meantime, the gloves are going to go in the car in readiness for such eventualities, largely because when we had the last batch of decent snow, there was about six inches of the stuff appeared overnight. So, what makes these Snugpak gloves worth £19.95? They’re made from neoprene, so they’re water resistant and offer warmth too. The neoprene allows the user to wear them when wet and helps in the drying time stakes whilst the rubber palm grips allow the user to grip ski or walking poles, cameras, maps, coffee mugs or a medicinal dose from a hip flask at the end of the day out. There’s an emphasis on the amount of dexterity available on these gloves. I haven’t had any problems with a lack of dexterity on the usage so far in milder conditions, even though I still have some problems with my left hand. That’s down to the after effects of that stroke I had ten years ago and whilst I’ve almost got full use of my fingers once more, that usage comes and goes from time time as a few supermarket till operators will testify to after I dropped a load of loose change all over the place when paying for purchases! As far as the right hand goes though, there’s no worries, which is a good job as I am right handed. Gripping tightly and using cameras or fiddling with keys when I get back home isn’t a problems and neither is opening and closing straps or zips when I need to get something from a pocket in my pack or whatever jacket I’m wearing at the time. The GeoGrips are easily donned and removed thanks to their stretchy cuffs, they can be clipped together and then onto a jacket when necessary and they’re easily washed too (it’s a hand wash though, not a machine wash). 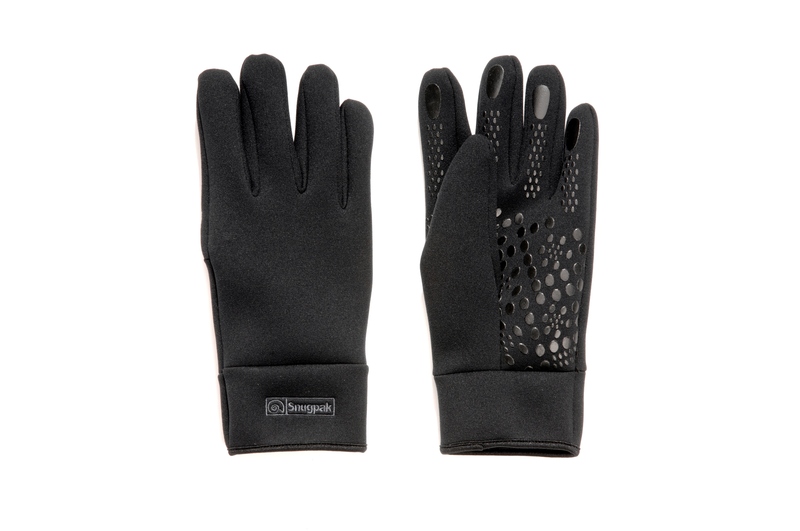 Other gloves are available and on the usage so far, the GeoGrip Gloves are performing favourably. When the snow or the rain really hits home, then they will be taken out and used in anger along with a select few that I’ve been using for a few years now (I’m a bit fussy when it comes to gloves! ).